February 28, 2019, by Lucy Gellman- Hartford- Can a sector that generates nine billion dollars, 57,000 jobs, and five percent of Connecticut’s economy expect its funding to stay flat as Gov. Ned Lamont fine tunes his budget? Can it ask for even more? That was the question statewide arts, culture, and tourism advocates asked Wednesday evening at the state capitol, as they testified before the Appropriations Committee at a four-hour public hearing on state development and conservation agencies. 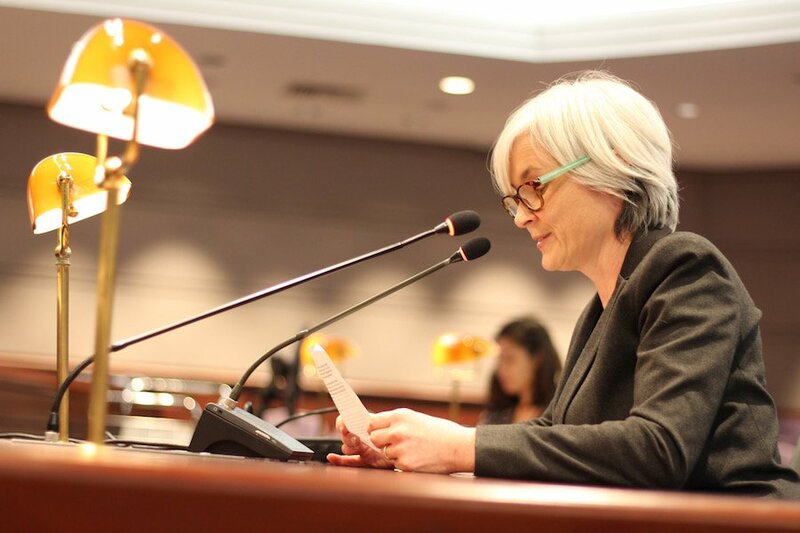 Particularly pressing for advocates is non-fixed line-item funding to the Department of Economic and Community Development (DECD), under which both the Connecticut Office of the Arts and State Historic Preservation Office are housed. Currently, arts organizations are funded in two ways: state line item budgeting and a series of competitive grants administered through the Office of the Arts. Earlier this month, arts advocates received a two-year budget proposal that did not increase their funding, but did not cut it either. That news came as a relief to several organizations, who saw the arts cut by a total of $3 million under Gov. Dannel Malloy four years ago and have not entirely recovered even as a chunk of that is restored..." Click HERE to comment and read full article.